A total of 10,500 missiles were launched as part of the V1 attack, of which 3,957 were destroyed by the defences. Indeed, it could have been much worse, for by the end of the war the Germans had manufactured close to 32,000 flying bombs. The defences put forward to guard against the V1 were formidable - 23,000 men and women with their guns, radar and communications networks were installed on coastal sites. 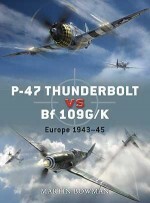 Squadrons of Britain's newest Spitfires, the F XIVs, and Hawker Tempest Vs were kept at home to battle the new menace. Rushed into action in July 1944 to help counter the V1 threat, Britain's Gloster Meteor I was the first jet fighter to enter RAF service. On 4 August the Meteor scored its first V1 victory. Having just closed in on a flying bomb, its officer squeezed the trigger but his guns jammed. Using the Meteor's superior speed, he was able to overtake the missile and, using his wing tip, he tipped the craft over and sent it crashing into the ground. 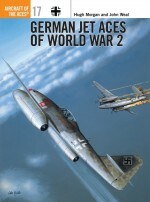 The interceptions between the V1 and Britain's Gloster Meteor were historic, and ushered in a new era of aerial combat. Donald Nijboer is a freelance writer who lives in Toronto, Canada. He teaches courses in radio broadcasting at Humber College of Technology and Advanced Learning. His four books, Cockpit: An Illustrated History of World War II Aircraft Interiors, Gunner: An Illustrated History of World War II Aircraft Turrets and Gun Positions, Cockpits of the Cold War and Graphic War - The Secret Aviation Drawings and Illustrations of World War Two, have been published by the Boston Mills Press. 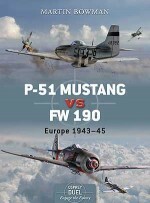 He has also written articles for Flight Journal, Aviation History and Aeroplane Monthly.Jim Laurier is a native of New England and lives in New Hampshire. He attended Paier School of Art in Hamden, Connecticut, from 1974 to 1978, and since graduating with honours, he has been working professionally in the field of fine art and illustration. He has been commissioned to paint for the US Air Force and has aviation paintings on permanent display at the Pentagon. 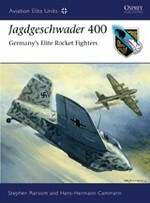 Jim completed the three-way views, armament scrap views, cockpit views, V1 launch artwork, ‘Engaging the Enemy' artwork and He 111 artwork for this book. Gareth Hector is a digital artist of international standing as well as an aviation history enthusiast. 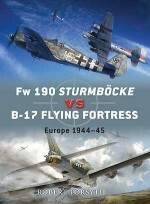 Gareth completed the battlescene artwork and cover artwork for this volume.